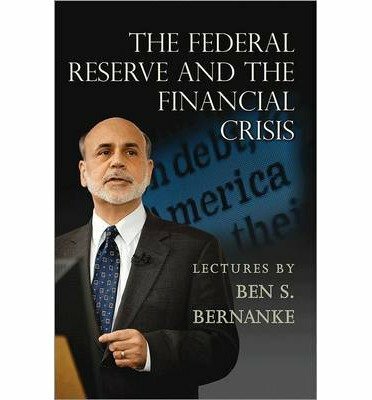 In 2012, Ben Bernanke, chairman of the U.S. Federal Reserve, gave a series of lectures about the Federal Reserve and the 2008 financial crisis, as part of a course at George Washington University on the role of the Federal Reserve in the economy. In this unusual event, Bernanke revealed important background and insights into the central bank's crucial actions during the worst financial crisis since the Great Depression. Taken directly from these historic talks, The Federal Reserve and the Financial Crisis offers insight into the guiding principles behind the Fed's activities and the lessons to be learned from its handling of recent economic challenges. Bernanke traces the origins of the Federal Reserve, from its inception in 1914 through the Second World War, and he looks at the Fed post-1945, when it began operating independently from other governmental departments such as the Treasury. During this time the Fed grappled with episodes of high inflation, finally tamed by then-chairman Paul Volcker. Bernanke also explores the period under his predecessor, Alan Greenspan, known as the Great Moderation.Bernanke then delves into the Fed's reaction to the recent financial crisis, focusing on the central bank's role as the lender of last resort and discussing efforts that injected liquidity into the banking system. Bernanke points out that monetary policies alone cannot revive the economy, and he describes ongoing structural and regulatory problems that need to be addressed. Providing first-hand knowledge of how problems in the financial system were handled, The Federal Reserve and the Financial Crisis will long be studied by those interested in this critical moment in history.